High pressure conditions. Sunny weather with some high level clouds. 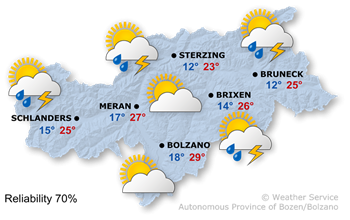 High values up to 18° and 25°.